Folks, we’re pretty darn excited about our upcoming show on Sept. 29th at Old North State Winery in downtown Mount Airy. And not just because we love it there and love playing for the hometown crowd. 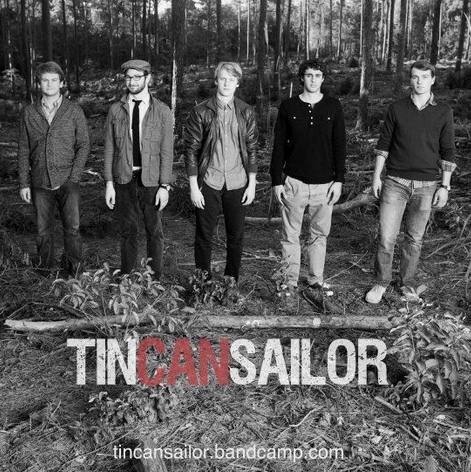 We’re also psyched to have Tin Can Sailor back with us. If you caught our show with them earlier this year, you know these cats from Raleigh are a fun group of talented musicians and songwriters. No wonder we love hanging with ’em. Showtime is 7pm. Tickets are $10 and are currently on sale at the winery, so drop by to grab yours. There’s a limited number, of course, and we’d sure hate for you to miss out. BE THERE! INVITE LOTS OF FRIENDS! “Falling Off The Edge Of The World” – now available for download! Cover is only $7 – not too bad for four bands. Consider marking it down in permanent ink on your calendar and encouraging your friends to do the same. If you do the Facebook thing, you can RSVP and share the link HERE. SECOND – hard to believe that we’ve been at this “download a month” thing for a year, but it’s true. We’ve got eleven original tunes that, as you hopefully know by now, you can listen to online and download by naming your price HERE. We think they’re all pretty swell, but we’d love to hear what YOU think! So if you would, please take a minute to complete this extremely non-complicated poll on your top five MBG original tunes. You know those online surveys that go on forever and take up way too much of a summer weekday afternoon? Trust us, this isn’t one of those. Just click your top five songs and you’re done. Thanks for letting us know what you think, thanks for coming to our shows, thanks for listening to our tunes. In short, thanks! “Let’s Not Pretend That It’s Easy” – now available for download! By now you know the drill – you can stream the song by clicking on the play button. Assuming you’ll then want to immediately download it as your own, simply click the “Buy Now” link to start the download process. You get to name your own price – and if you’re one of the first 200 to download the tune, you can get it for free! How cool is that?! “Cold Comfort” – FINALLY available for download! Update on our June tune; MBG at Old North State! Anyway, we’re near the tail end – hope to have it to you by the middle of next week. Stay tuned! Thanks as always for listening and supporting us. 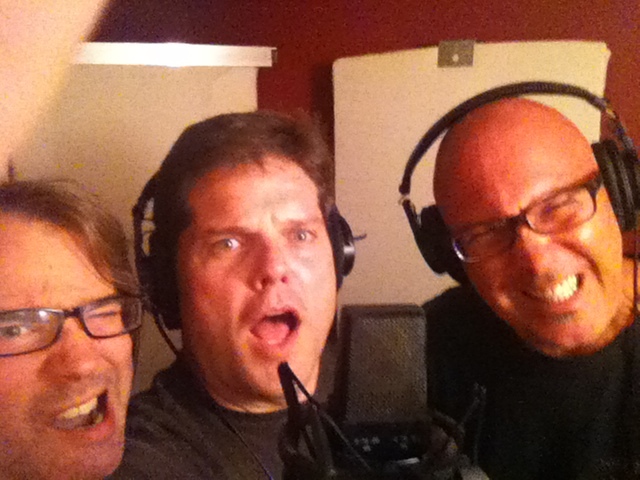 Get psyched about our June tune next week and our show next Saturday! We had such a great time with our good friends in Old #10 last January at Old North State Winery in Mount Airy that we’re gonna do it again! So mark your calendars: Saturday, June 9. Music starts at 7:30pm. Admission is $10, and tickets will be on sale at the door as well as before at the winery.